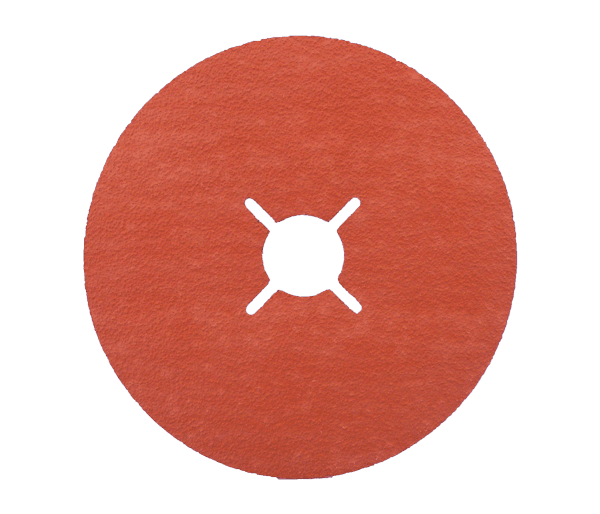 A high stock removal rate combined with a long service life and an optimum grinding pattern are the requirements placed on fibre discs in the production plants. Fibre discs are roughly comparable to grinding flap discs and roughing discs. We will be pleased to advise you which fibre discs can be used in your machining process to achieve maximum performance. The application of fibre discs is manifold. Due to their excellent suitability, they are used today in companies for (very) coarse grinding work, for derusting metal parts, for deburring and for processing welding seams. Almost all materials (metal, stainless steel, steel, cast iron, non-ferrous metal, wood, plastic, stone and marble) can be processed very well with fibre discs. Thanks to the wide range of grit sizes, it is also possible to finish metals with fibre discs. Please do not process different types of steel with the same fibre disc. This can lead to rust formation, as traces of material can settle between the grains of the fibre disc and be transferred by grinding. 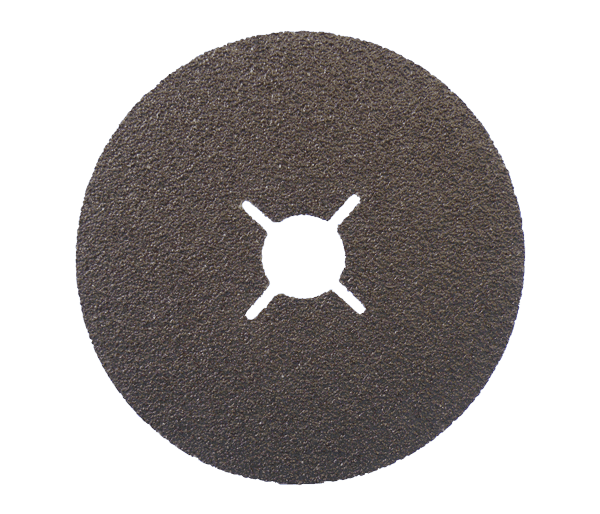 Due to the elasticity of the fibre disc, it can adapt much better to the surfaces to be machined than, for example, a rigid roughing disc. The grinding pattern or the surface on the workpiece to be machined is better with fiber discs than with a roughing disc. 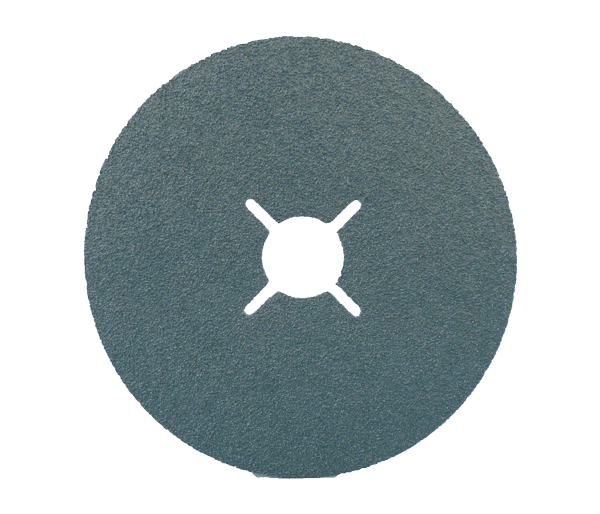 In the grinding process with a fibre disc, the “softer” structure already absorbs the vibrations that occur during grinding, while the vibrations of abrasive flap discs and roughing discs are strongly passed on to the user. With fibre discs, fatigue-free working is possible in this respect. Fibre discs are considerably more cost-effective than grinding flap discs and roughing discs. 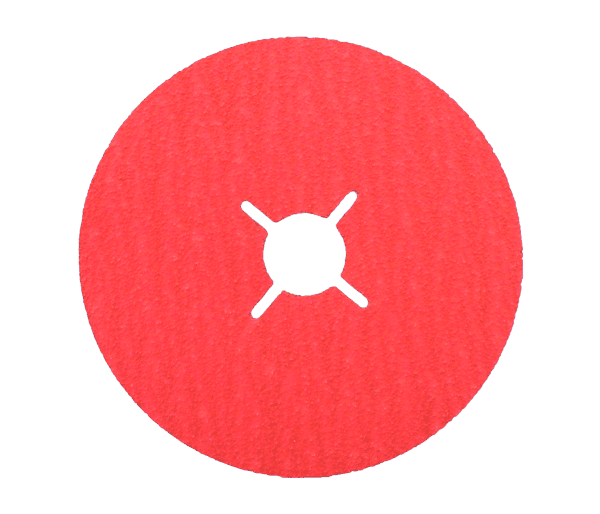 Fibre discs are ultimately “only” round punched abrasives. Fibre discs as well as flap discs and grinding discs benefit from the fact that they are easy to handle. There are hardly any set-up times for changing the fibre discs.